Twenty years after Serbian forces killed 44 people in the small village of Recak, the survivors still await justice – while historians recall it as a turning point in a grim war. Bilall Avdiu took his steps gently along a narrow lane of the Kosovo village of Recak, revisiting the place where Serbian forces caught and nearly killed him two decades ago. 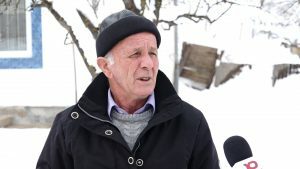 The 72-year-old miraculously escaped death with a crowd of others on January 15, 1999, when Serbian forces entered the village and killed 44 of his neighbors. “I and most of my neighbours had gathered on a farm. There were around 30 of us,” he began. “When Serbian forces arrived, they took us outside, laid us down on the earth and started beating us. We heard some of them on the radio, saying: ‘Where should we kill them, here or up in the hill?’” Avdiu recalled. Police the ordered them to climb to the hill “where they had planned the execution.” An execution squad was waiting for them there. Serbian security forces had surrounded Recak and started attacking it on the morning of January 15, 1999. They entered the village and raided the houses one by one. Some locals tried to hide, but were discovered, beaten, taken away and shot. A total of 44 villagers were killed. Serbia initially insisted the casualties were all fighters from the Kosovo Liberation Army, KLA. But William Walker, chief of the OSCE ceasefire verification mission to Kosovo, who visited the scene the following day, called it a “crime against humanity” and insisted that the victims were civilians. The attack formed part of the International Criminal Tribunal for former Yugoslavia, ICTY, indictment against Serbia’s late leader, Slobodan Milosevic. But no verdict was ever delivered because Milosevic died in 2006 while in detention. Serbian special police commander Goran Radosavljevic, alias Guri, led the infamous operation. Radosavljevic, who has since retired but still serves on the board of the ruling Serbian Progressive Party, has denied that his men gunned down civilians, insisting that all those who died were terrorists. Until recently, investigation into such war crimes has been out of the hands of local prosecutors. The ICTY, as well as two consecutive international missions in Kosovo, the UN mission, UNMIK, and the EU mission, EULEX, were in the driving seat. Drita Hajdari, a Kosovo Special Prosecutor, recalls that the events in the village formed part of an ICTY indictment against retired Serbian colonel Vlastimir Djordjevic. He was jailed for 27 years in 2011. Hajdari told BIRN that a local investigation into the bloody events in Recak was now ongoing. “The Kosovo Special Prosecution is investigating the role of several other individuals in this massacre,” he said. “When we went there [the execution site], the police told us: ‘Welcome terrorists!’ But we were all civilians, with many elderly people among us,” said Bilall Avdiu who well remembers the voice of the Serbian armed police. “It was very cold, just like today, but with less snow,” he added. Avdiu said that when the shooting began, he fell to the ground, not knowing whether any of the bullets had hit him. He stayed down for hours, among the dead bodies. “I stayed down with my face on the earth and was waiting to be killed. Once the shooting ceased, I realized I was frozen. After some hours, I got up. When I saw nobody there, I dragged myself away to the hills,” he recalled. Once the darkness had enveloped Recak, Avdiu spotted another old survivor and spoke to him. “I tried to offer him a cigarette, but then I saw that the pockets of my jacket were entirely full of bullet holes,” he said. Another bullet had hit his belt. When he thought he had gathered enough strength, he decided to go back to the crime scene, to check if anyone else was alive. “When I saw everybody was dead, I collapsed at the scene. I remained collapsed there, until a neighbour came and touched me,” Avdiu said. The news of the events in Recak broke to the world the next day. Twenty years later, Walker, who is still seen as a hero in the village, says he often remembers the massacre and would not change a word in his initial interpretation. “This incident, my reaction on it, and the reaction from Serbia’s government, produced an international tsunami with reports on what was happening in Kosovo,” Walker told Voice of America on January 12, 2019. “Any time I face new information, I check them to see if my initial conclusion was exact and, until today, 20 years later, I am still convinced that the assessment I gave was true,” he said. “I know why I went to Recak on the morning of January 16. I went there only a few hours after the massacre occurred. I saw on that frostbitten morning bodies and what happened with those men and boys. The Belgrade government came on the first day with different versions… They even pretended that I went there and changed the clothes of more than 40 victims by piercing them with bullets. Those explanations were ridiculous,” he continued. Village head Adem Ramadani said the people of Recak will suffer from the memories of that day for generations. “This pain will last for generations, directly linked with the loss of their family members,” Ramadani told BIRN. “In Recak, everyone lost a family member or relative,” he added. However, the terrible events in Recak did at least spur on international efforts to find a solution to the Kosovo crisis. In February 1999, Kosovo and Serbian delegations started weeks of negotiations in the castle at Rambouillet in France. The talks broke down because the Serbian delegation would not agree to the terms of a deal. 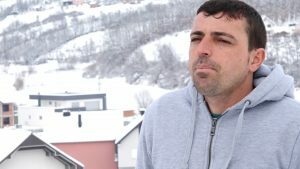 “It is unfortunate that the international community only took the Kosovo issue more seriously after this massacre,” Dugolli told BIRN. Dugolli says it is high time justice acted. “There can be no sustainable peace without proper justice,” he said. “The UN and EU missions and Kosovo institutions have not done what they should have done, to shed light and bring the perpetrators of Recak and other crimes to justice,” he added. 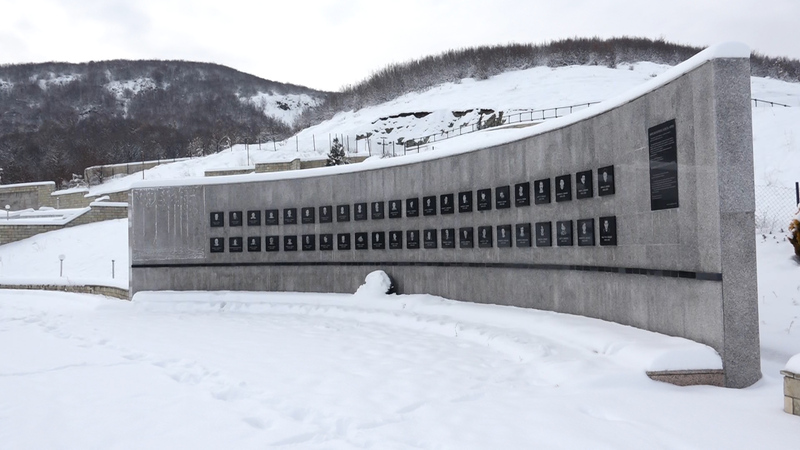 On a cold Friday, Besim Jakupi took his shovel and started to remove the piles of fallen snow from the memorial complex in Reçak. 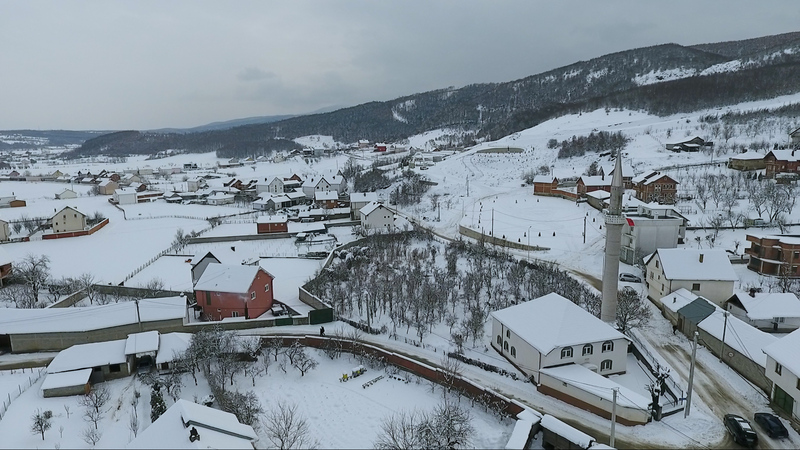 Each January 15, visitors from all around Kosovo come to visit the village and mark the anniversary of the massacre. Jakupi was 12 when the massacre occurred. He has a relative resting in the graves near him. He feels that Recak cries out for justice. “There should be justice for the crimes against humanity that occurred in Kosovo. We have not seen that justice so far,” Jakupi ended.